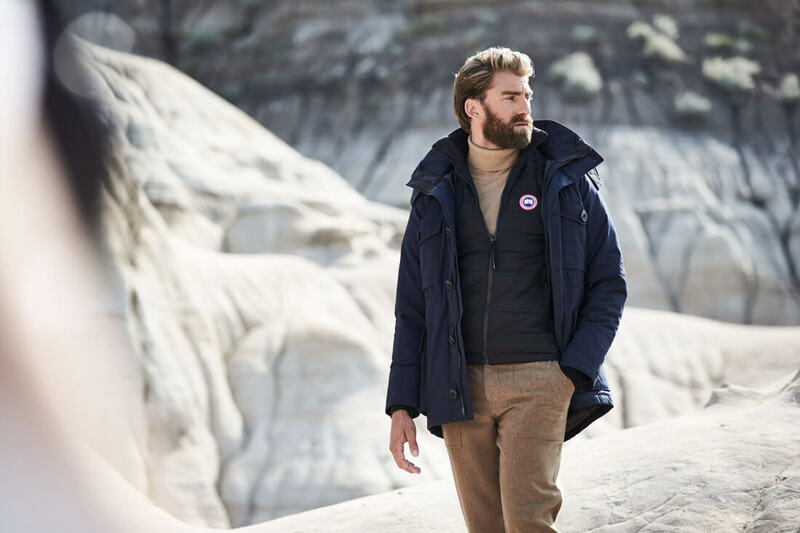 As the temperature cools and the air turns crisp, you can be sure find warmth in the new Canada Goose down-filled parka’s, padded puffas and range of accessories presented in their Autumn/Winter 2017 Collection. 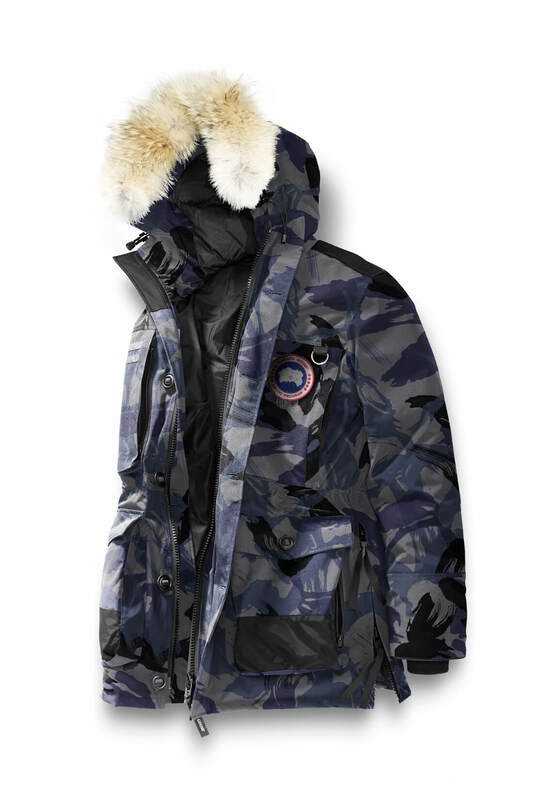 The latest collection explores the brand’s tactical roots with pieces that stay true to Canada Goose’s utilitarian aesthetic and function-first mantra, introducing contemporary style cues through the lens of its 60 year heritage. Highlights of the collection include more modern interpretations of archival pieces with eye-catching prints, intricate quilt patterns, oversized silhouettes and versatile layers. 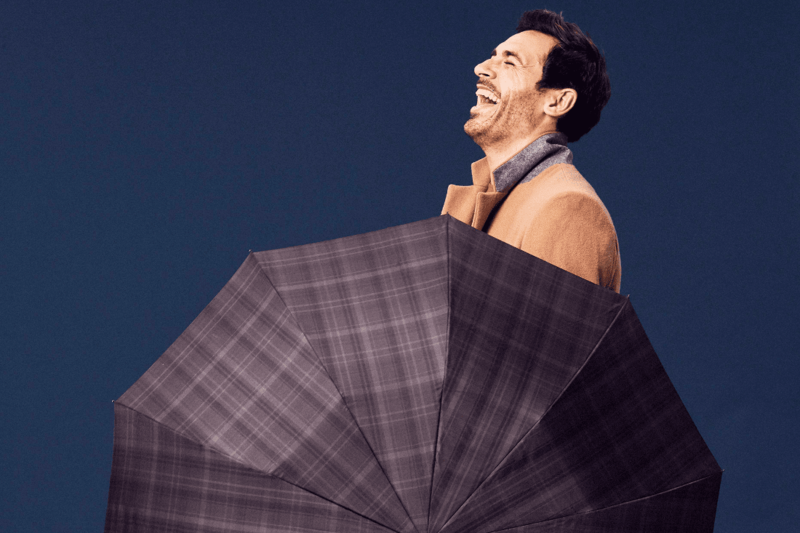 In the larger coats, camouflage prints are present, as well as more simple blues and greys in the Maccullouch Parka, Drummond 3 in 1 Parka, and Black Label Clarence Coat, while shades of green are covered in the Black Label Chateau Parka, Black Label Carson Parka and Citadel Parka. Slightly lighter outerwear sees black taking prominence in the Black Label Roxton Shirt and Chilliwack Bomber, while the camouflage print returns, this time in black and grey, in the Brookvale Hoody. 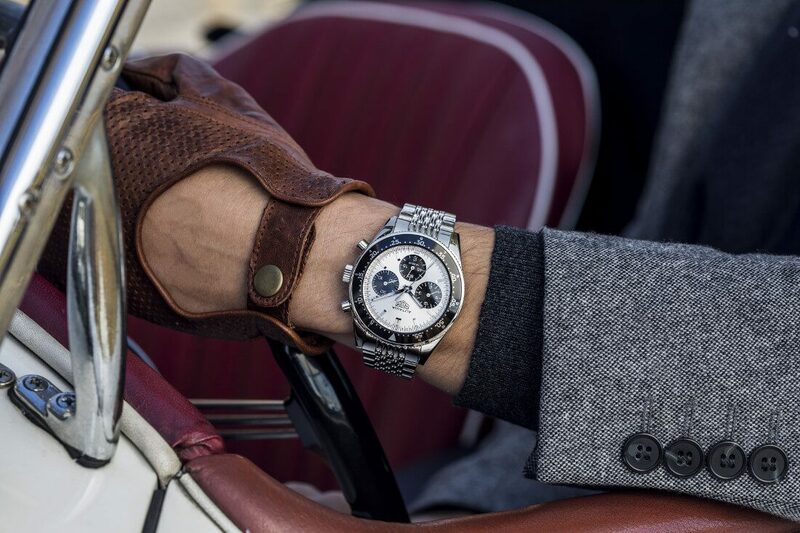 In accessories, flashes of red are present in the Merino Logo Pom Hat and Aviator Hat, while function takes the forefront in the simply designed Workman Glove. 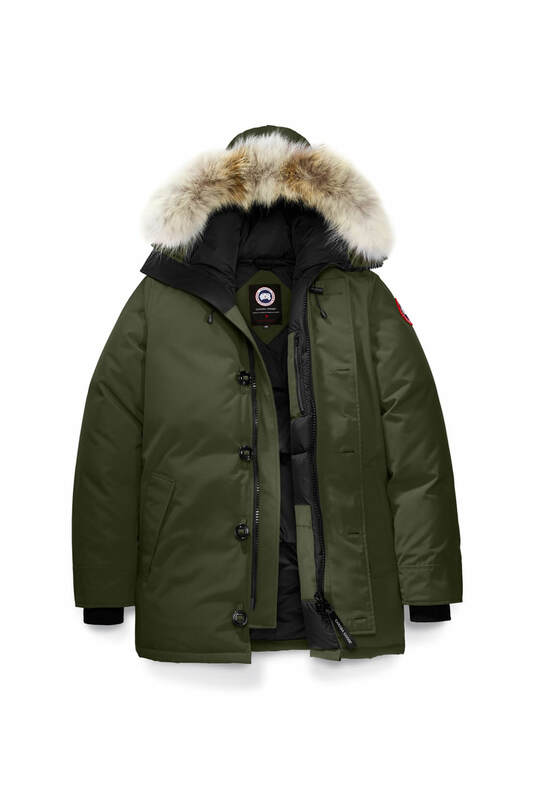 Started by Sam Tick as Metro Sportswear Ltd., the Canada Goose story began with functional outerwear designed to protect industrial workers including police and military forces. 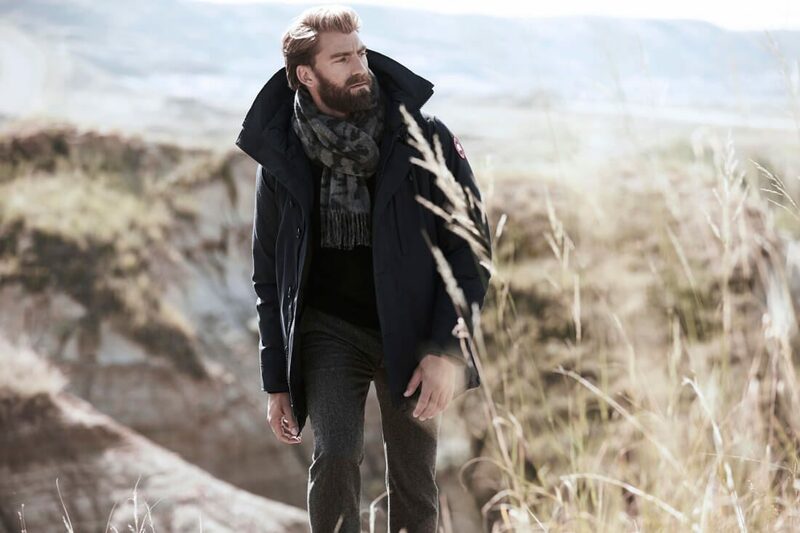 Over time, their credentials for providing quality parkas for these demanding conditions also led them to gain popularity with city dwellers, film crews, celebrities, and adventurers alike. 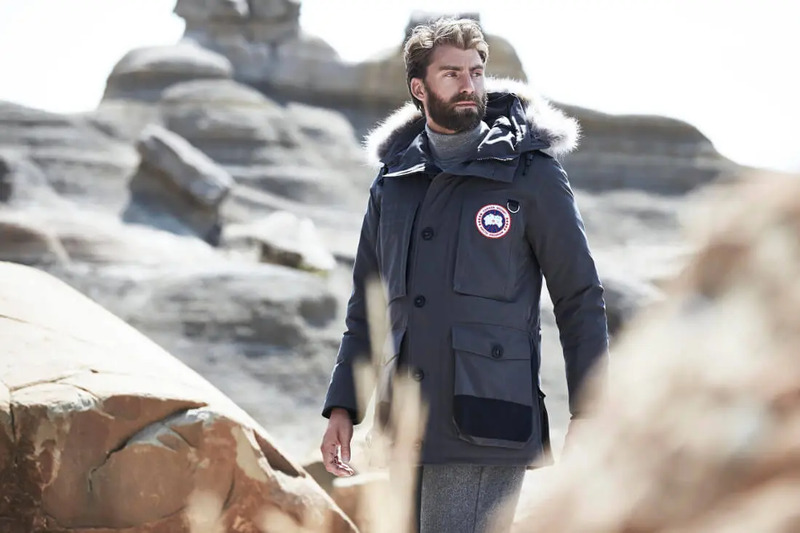 Today, Canada Goose is led by Tick’s grandson, Dani Reiss, who is determined to continue in his grandfather’s footsteps and carry on exporting the brand around the world.